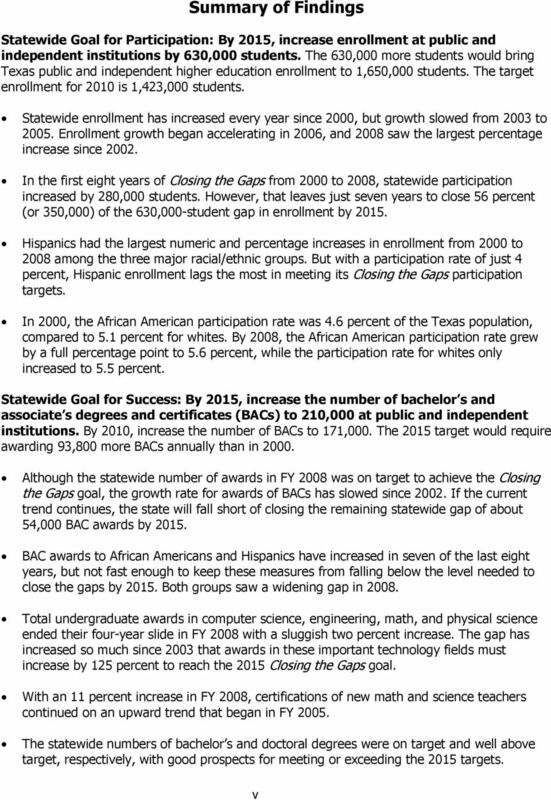 Download "Closing the Gaps by 2015:"
2 Texas Higher Education Coordinating Board A.W. Whit Riter III, CHAIR Fred W. Heldenfels IV, VICE-CHAIR Elaine Mendoza, SECRETARY OF THE BOARD Heather A. Morris, STUDENT MEMBER OF THE BOARD Laurie Bricker Joe B. Hinton Brenda Pejovich Lyn Bracewell Phillips Robert W. Shepard Robert V. Wingo Tyler Austin San Antonio Lubbock Houston Crawford Dallas Bastrop Harlingen El Paso Raymund A. Paredes, COMMISSIONER OF HIGHER EDUCATION Mission of the Coordinating Board The Texas Higher Education Coordinating Board s mission is to work with the Legislature, Governor, governing boards, higher education institutions and other entities to help Texas meet the goals of the state s higher education plan, Closing the Gaps by 2015, and thereby provide the people of Texas the widest access to higher education of the highest quality in the most efficient manner. 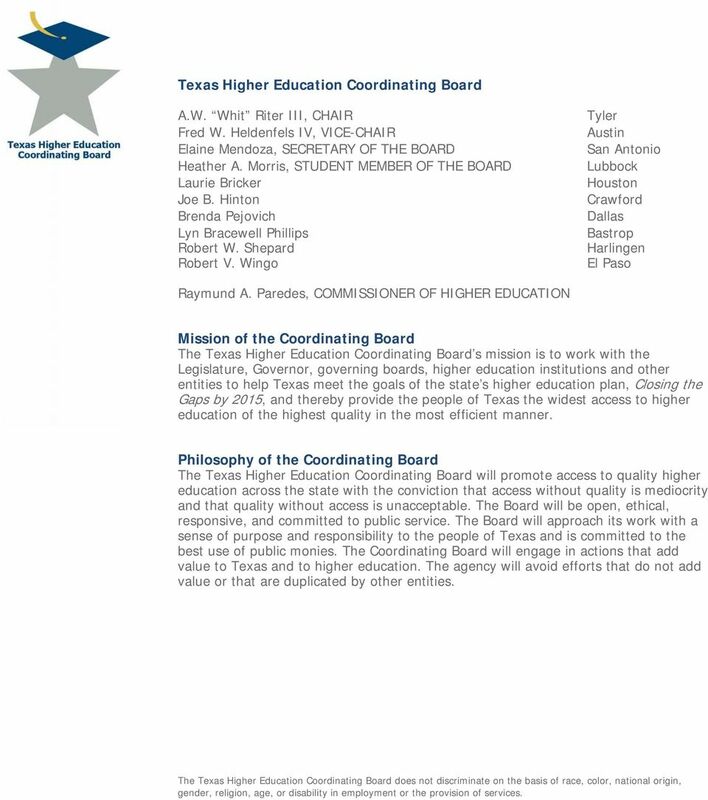 Philosophy of the Coordinating Board The Texas Higher Education Coordinating Board will promote access to quality higher education across the state with the conviction that access without quality is mediocrity and that quality without access is unacceptable. The Board will be open, ethical, responsive, and committed to public service. The Board will approach its work with a sense of purpose and responsibility to the people of Texas and is committed to the best use of public monies. 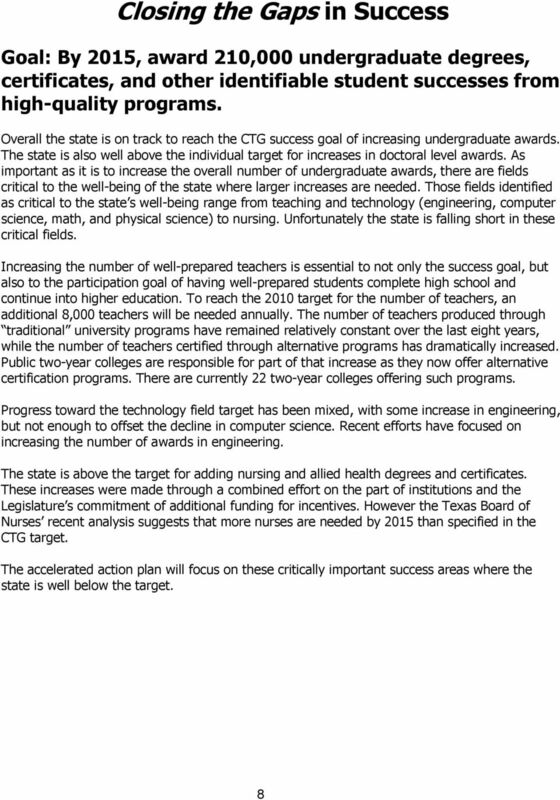 The Coordinating Board will engage in actions that add value to Texas and to higher education. 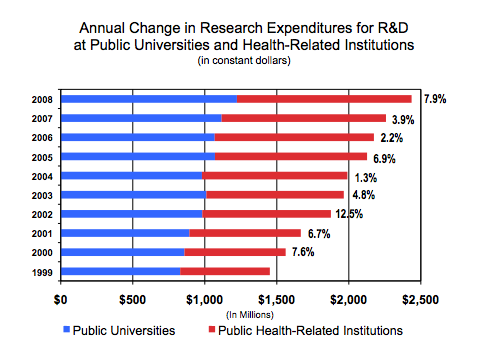 The agency will avoid efforts that do not add value or that are duplicated by other entities. 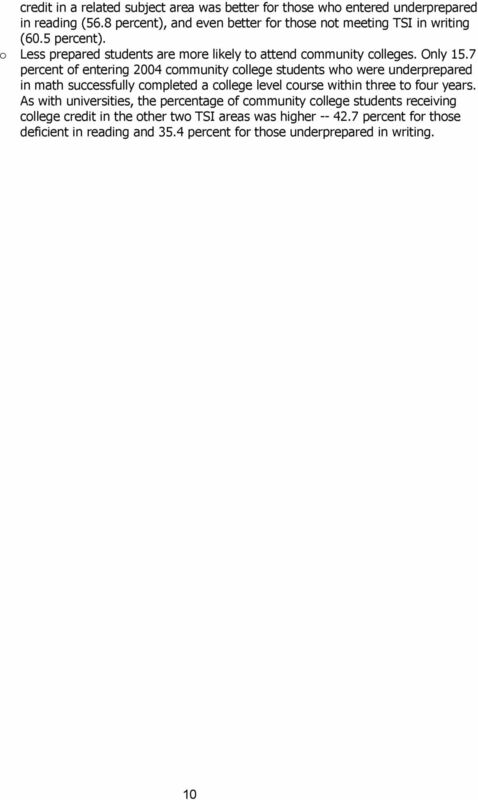 The Texas Higher Education Coordinating Board does not discriminate on the basis of race, color, national origin, gender, religion, age, or disability in employment or the provision of services. 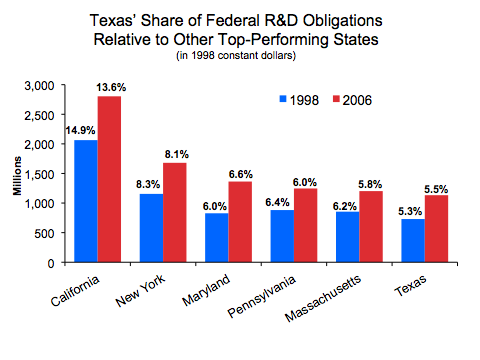 11 CLOSING THE GAPS IN PARTICIPATION GOAL: Increase the overall Texas higher education participation rate from 5 percent in 2000 to 5.6 percent by 2010 and to 5.7 percent by Status: Somewhat Below Target In fall 2008, 5.4 percent of the state s population was participating in higher education. 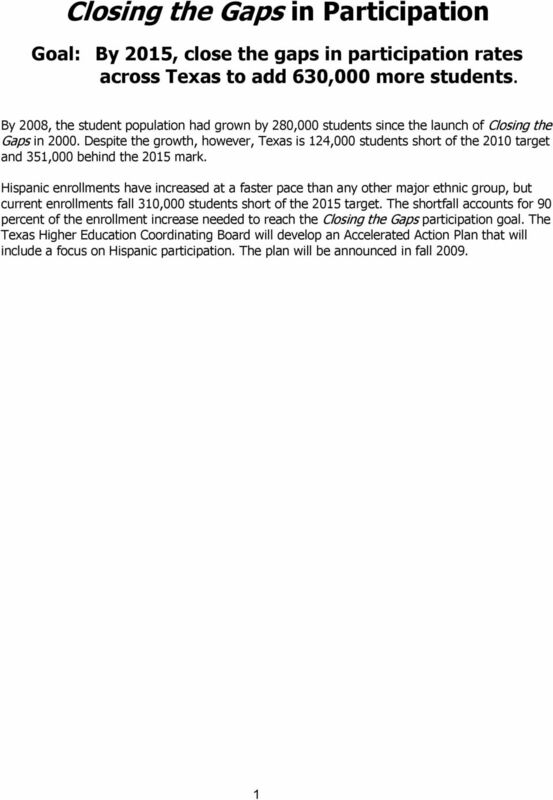 Based on current Texas population institutions must enroll 351,000 more students to meet the 5.7 percent target in Background Between 2007 and 2008, fall enrollment increased 44,075, the largest gain since 2002, but an annual increase of 50,000 is needed through 2015 to meet the state goal. 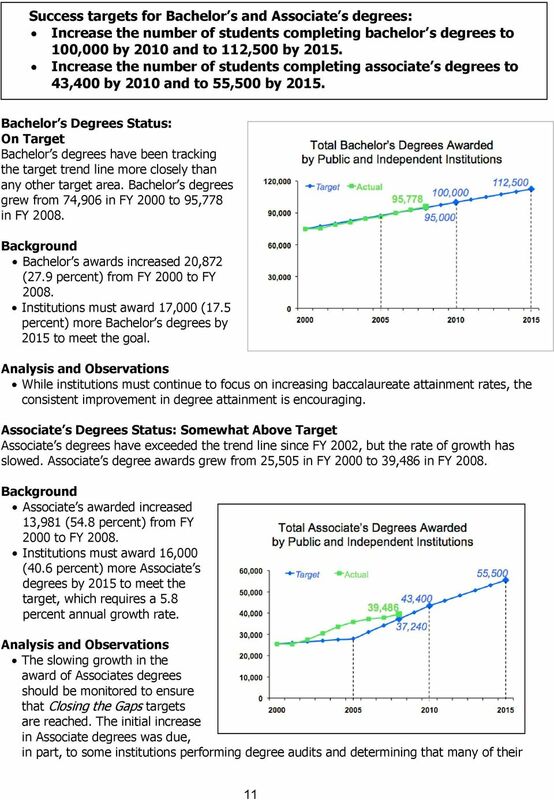 Enrollment in two-year institutions represents 60 percent of the eight-year enrollment growth. 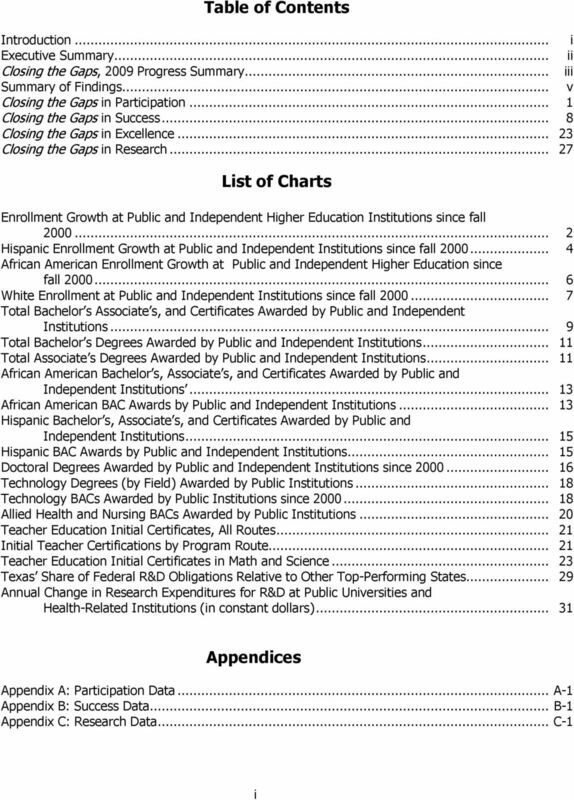 The state participation goal is a composite of the enrollments of white, African American, Hispanic and other groups. 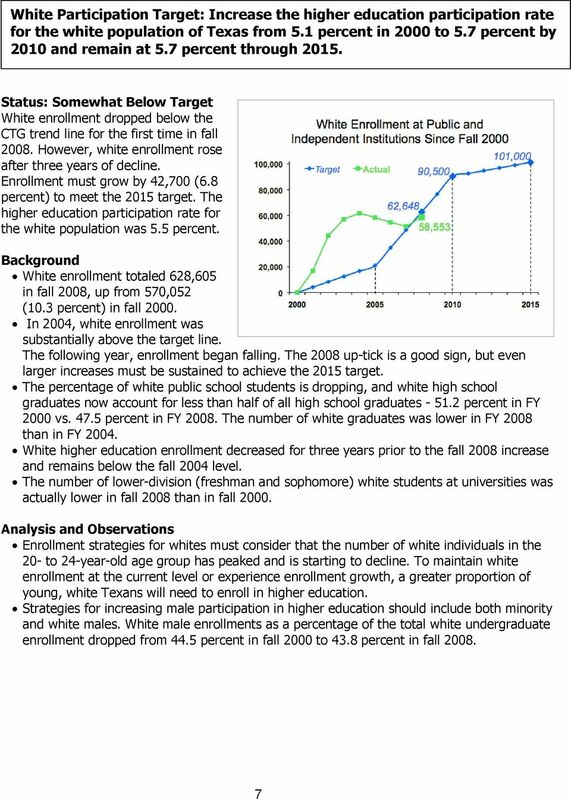 African American enrollment is above its target, white enrollment is slightly below, and Hispanic enrollment is well below target. 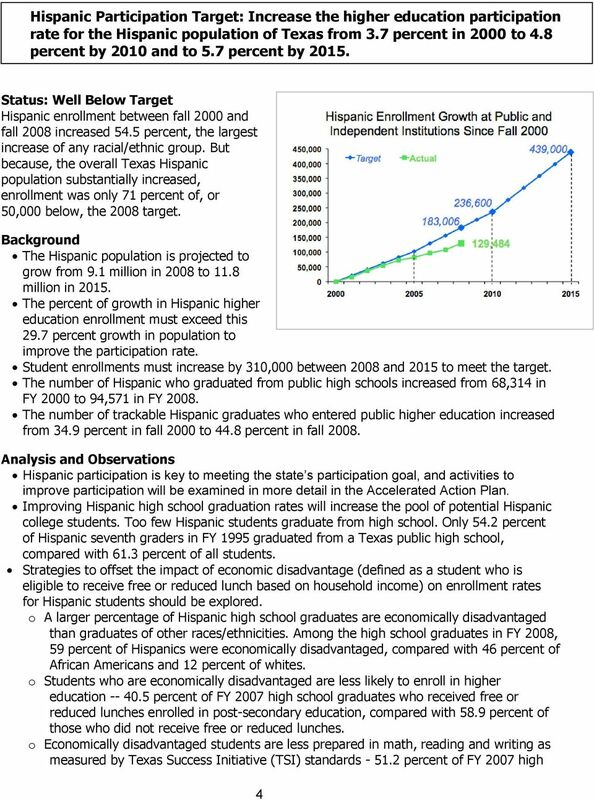 Analysis and Observations With Hispanic enrollment well below target, focused attention is required for this population segment. Increasing enrollments to meet participation targets can be achieved in part with an increase in persistence rates, particularly between the first and second year of enrollment. o At universities, the one-year and two-year persistence rate for first-time, full-time o students improved little between 2000 and One-year persistence for community colleges first-time, full-time students declined slightly, and the two-year persistence rate decreased by 3 percent. 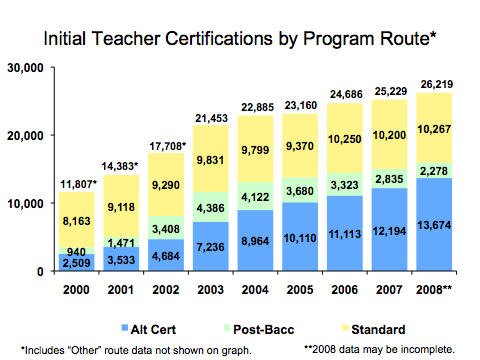 Attracting adults to or back to higher education can help meet the participation goal. While first-time-in-college students coming directly from high school grew by 27,000 from fall 2000 to fall 2008, enrollment rates for other new students decreased during that time from nearly 70,000 in fall 2000 and 82,000 in fall 2003, to 65,000 in fall Focusing on the unique needs of part-time students may encourage more participation of both adult and traditional-aged segments. 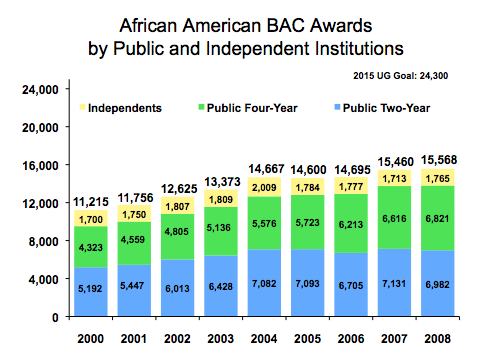 Although the segment comprises only a small percentage of university enrollments, part-time students represent the majority of community college participants. 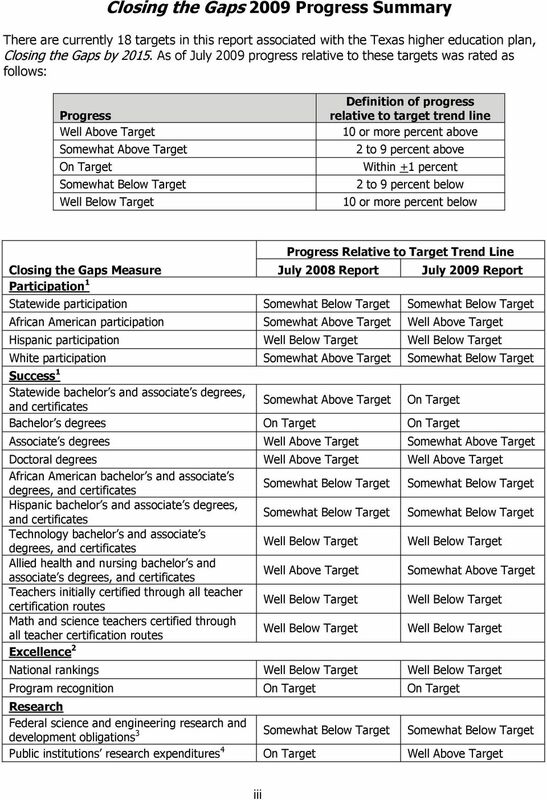 In 2008, 69.1 percent of community college students were enrolled part-time, an increase from 63.7 percent enrolled part-time in All participation data charts show enrollment changes since fall Data for charts in this report may be found in the Appendices. 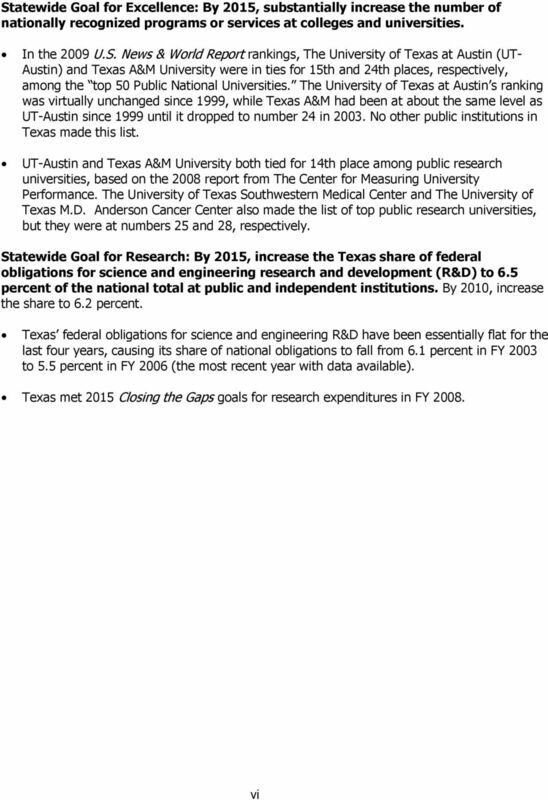 General Academic Institution Program Funding Estimation Tool Instructions May 2011 Division of Planning and Accountability Finance and Resource Planning Texas Higher Education Coordinating Board Fred W.